Approximate size of character: 18cm (size can vary depending on the thread used and the size of hook). 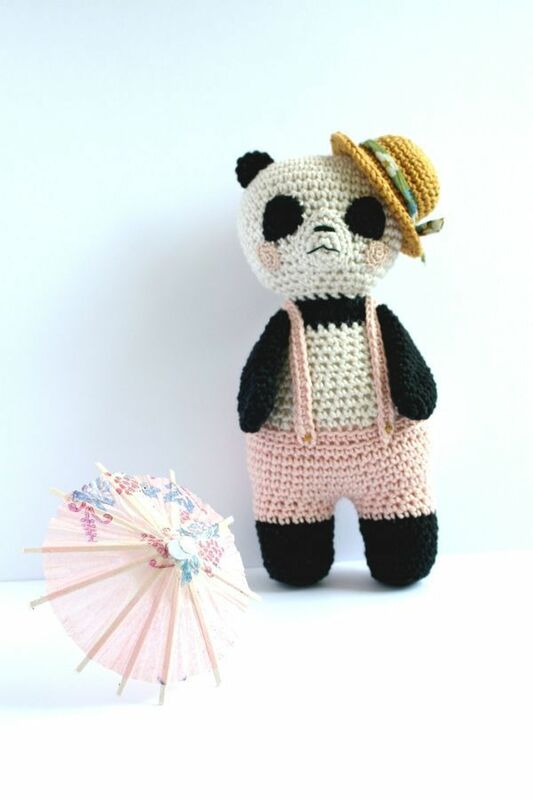 Panda-Sun, an adorable panda with his little straw hat. Ideal character for decoration or as a toy. You can sew the hat for added security or to avoid losing it.